Paper napkins can’t be recycled because they are often dirty and contaminate the recycling stream. 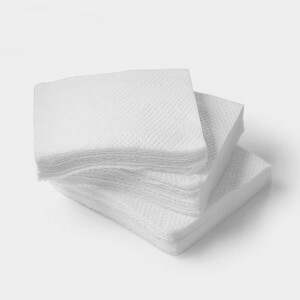 Rather than use paper napkins, especially at home, buy a set of cloth napkins and use those instead. Linen napkins are more eco-friendly than cotton, but both are better than relying on single-use paper napkins.